No one knows what’s going on underground in your drainage system. 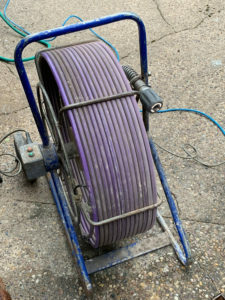 That’s why here at Brisk Services we offer CCTV drain surveys. Using CCTV camera equipment, we are able to inspect the inner workings of your drainage system. This information can then give you a comprehensive view on the condition of your drain. 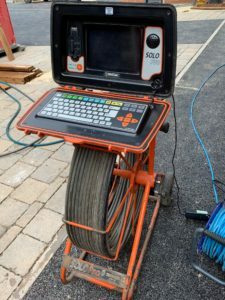 During a survey, the engineer will record the relevant footage onto a DVD, and also provide a written report and schematic diagram showing the layout of your drainage system. Why wait until you have another blocked drain, where you may incur additional clearance costs. 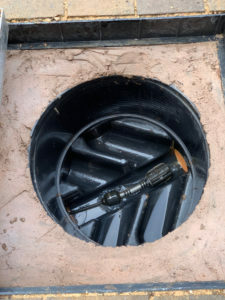 If you do not know what is happening in your drain, then, if there is a problem in the drain, it may worsen causing you to end up with additional unwanted drain repair costs. Tree roots are one of the biggest causes of damage to underground drains. Wherever there are tress, large hedges or bushes close to drains there is a possibility that the roots will enter into the pipes and create problems. Not only can they cause blocked drains, they also have the potential to crack or collapse the drain. The sooner that root intrusion is identified, then the lower the drain repair costs will be. 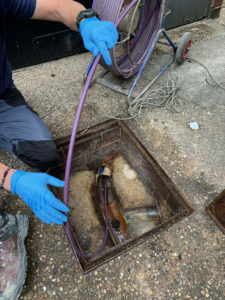 A CCTV drain survey will identify these problems and advice can then be given as to the best and most cost effective method of repair. 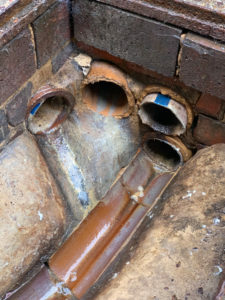 Cracks or damage to drains may allow waste water to escape from the pipe causing structural damage to your property along with possible subsidence or damp issues. 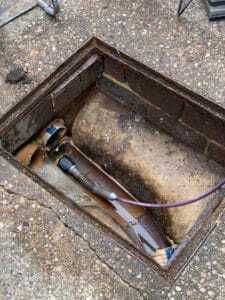 A CCTV drain survey will identify these problems before further damage to the property occurs. When buying a house or property, the building surveyor will inspect the visible fabric of the property, however what he can’t see is what’s going on underground. Here at Brisk we offer home buyers cctv drain surveys from as little as £105.00 this will give you peace of mind that the property you are buying has a sound drainage system. Remember, once you buy a property you are also buying its potential faults. We have carried out surveys recently where there was thousands of pounds worth of damage to the underground drains. Its better to know this prior to purchase and be in a position to negotiate with the vendor prior to the completion of your sale. When a survey has been carried out, you will be issued with a colour DVD showing the inner workings of you drainage system, a written report detailing any faults found, and a schematic diagram showing the layout of your drainage system. We can also provide a cost for repairs should any fault or defect be found.